Hanover-based Subsurface Insights has been awarded two Small Business Innovation Research grants totaling $450,000 from the U.S. Department of Energy. The grants were awarded on Monday as part of a larger group of 189 grants totaling $33 million in 32 states. The Phase I grants will allow small businesses to research technical feasibility of new innovations that advance the mission of the Office of Science. Phase I grants are 6-12 months in duration. Using one $225,000 grant, Subsurface Insights will develop a cloud-based system that provides actionable understanding of soil microbiologic processes by integrating different datasets and analytical tools. The other grant will be used to develop a cloud-based turnkey hydro geophysical monitoring and decision support system to understand subsurface processes related to environmental cleanup and subsurface energy production with easily accessible modeling and analytical tools. Successful Phase I grantees will be eligible to apply for Phase II awards in fiscal year 2020 that will allow them to develop novel prototypes or processes to validate their Phase I research findings. 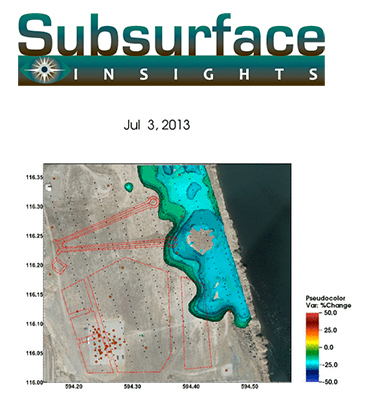 Subsurface Insights has been awarded Phase II grants in the past. Since 2013, Subsurface Insights has been awarded $4.1 million in SBIR/STTR awards for 10 other projects, mainly dealing with hydrogeologic processes, monitoring and modeling systems. More information about awarded projects is available here.